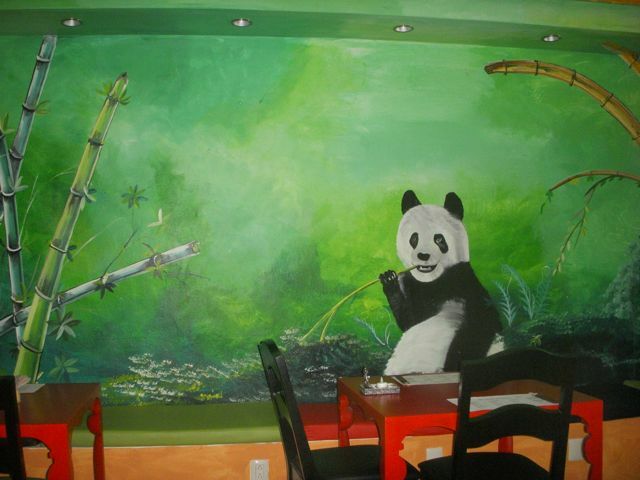 For most of you saavy, city-slicker foodies out there this might not be so exciting, but for us Tulum-ites, a delicious, air-conditioned, buddah and panda filled Vietnamese restaurant is like a dream come true (at this for this Tulum-ite who lived in Chinatown NYC for 4 years and ate my way around the hood!). I plan to go back at LEAST once a week for their 70 peso lunch special that includes either veggie Summer rolls or Spring rolls, an entree of your choice, rice, iced tea, and dessert…hellloooo bargain!!! From the looks of what was on everyone else’s plate, I won’t be disappointed! 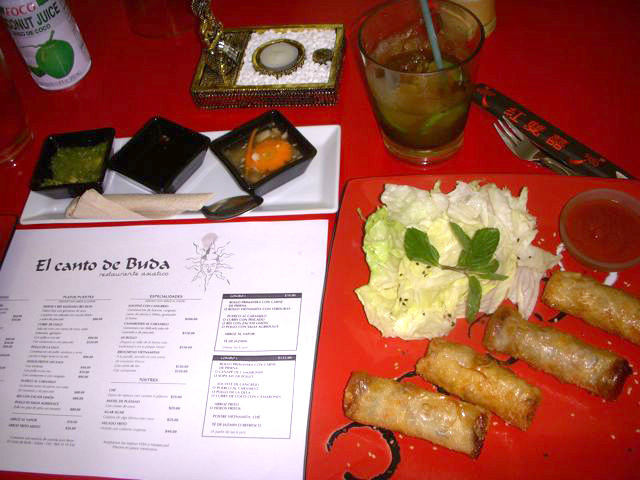 If you’re in town and want some A/C and some great asian fare, check out El Canto de Buda located just a few doors down from the ADO bus station on the main avenue…their little fish pond out front will greet you!